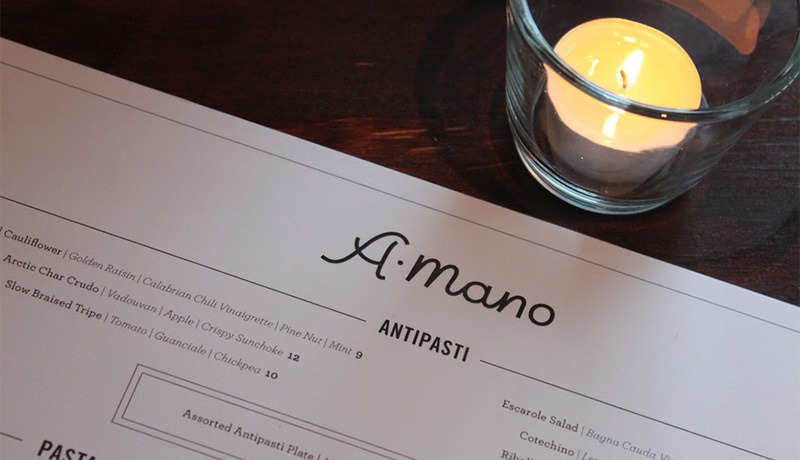 There’s something familiar about the freshly opened A Mano in Fairmount. It’s not the space. The corner of 23rd Street and Fairmount was, for ages, occupied by a little grocery shop, not a restaurant. It’s not the food either. 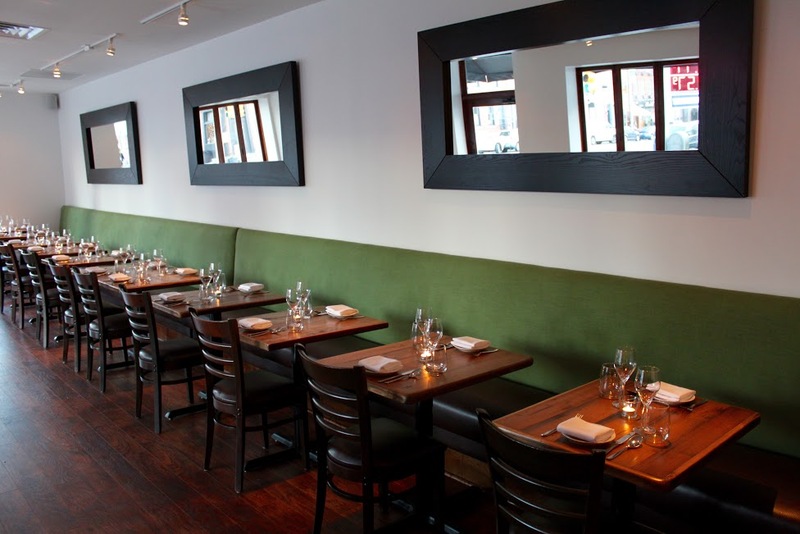 Michael Millon’s menu is definitely an Italian departure from chef-owner Townsend Wentz’s French-focused offerings at Townsend on East Passyunk. The thing about A Mano that’s familiar is the format: a BYOB with handsome wooden tables, a long banquette, an open kitchen, and a big mirror to bounce light from the bank of windows. Honestly? A Mano could be Will or especially Noord, minus Bob Moysan’s artwork and plus about 20 additional seats. The thing that distinguishes A Mano (in a town-full of BYOBs, many of which are Italian) is its confidence. This second restaurant from Townsend Wentz, Lauren Harris, and a substantial portion of the Townsend team, is keeping things simple at their new spot. There are 48 seats, no reservations, no liquor license, and—despite Harris’ accomplished wine program and Keith Raimondi’s beloved bar at Townsend— no plans to add one. 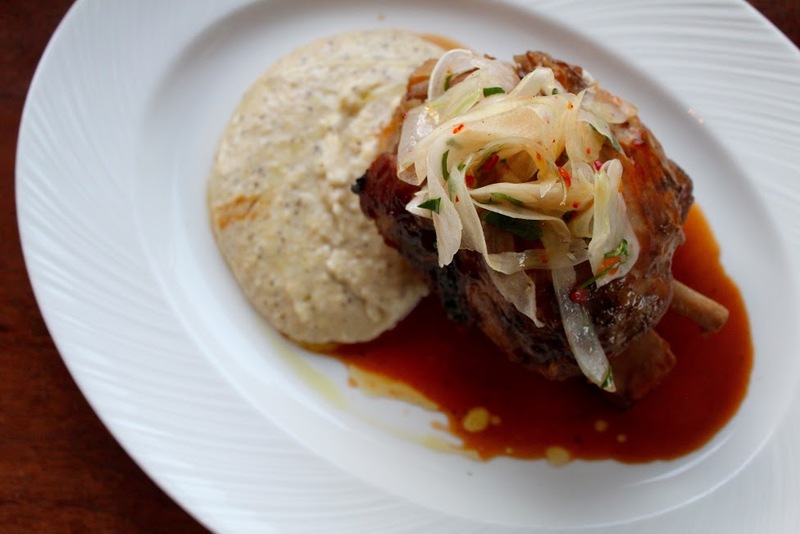 This keeps the focus–as it does with all BYOB’s–squarely on the menu. 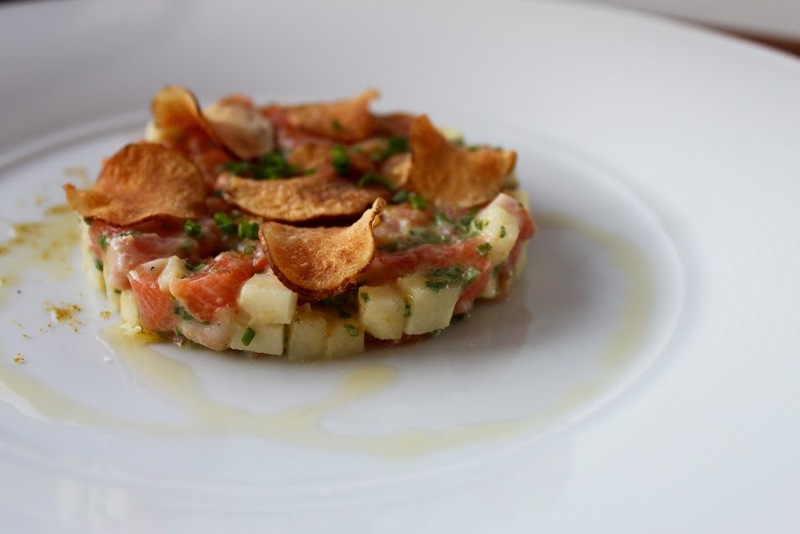 Begin with classic flavors like escarole salad; slow braised tripe and chickpeas; or lighter beginnings like Arctic char and apple crudo with house-made vadouvan curry and sunchoke chips. 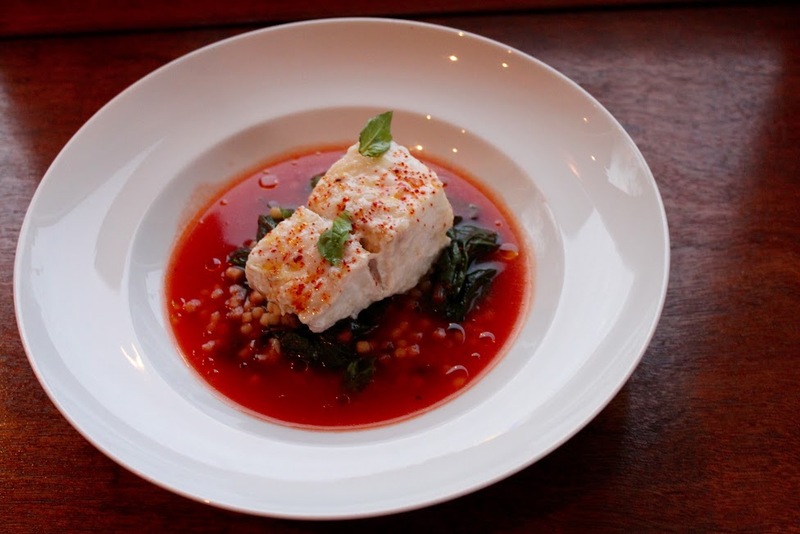 Then, substantial secondi such as olive oil poached cod with Tuscan kale and fregola sarda, all swimming in a bright red Calabrian chili broth or braised pork shank with pickled fennel and taleggio polenta so creamy it could be dessert. In between the antipasti and secondi? Primi, of course, and that means pasta. Restrained, beautifully executed pasta dishes. 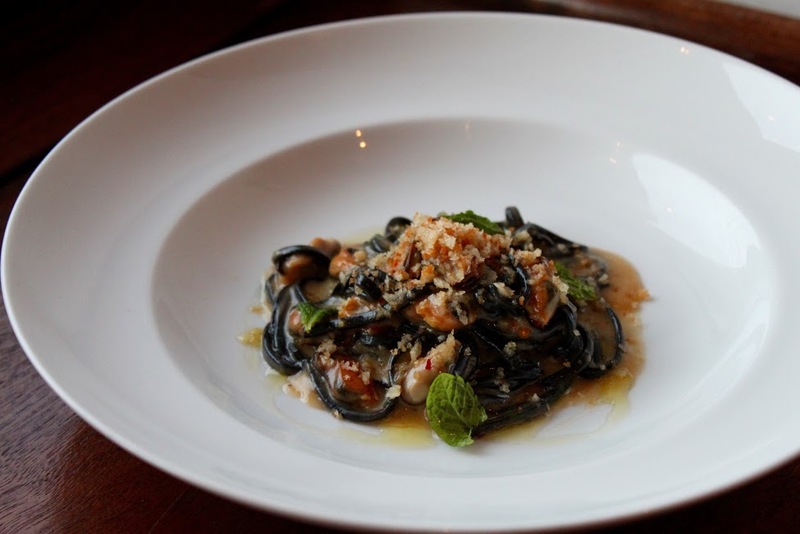 There’s tangle of squid ink chitarra with sea urchin, lemon breadcrumbs, mint, and dainty little mussels. Potato gnocchi, afloat on a slurry of red wine and wild boar and topped with apple and rosemary is ideal cold-weather eating. 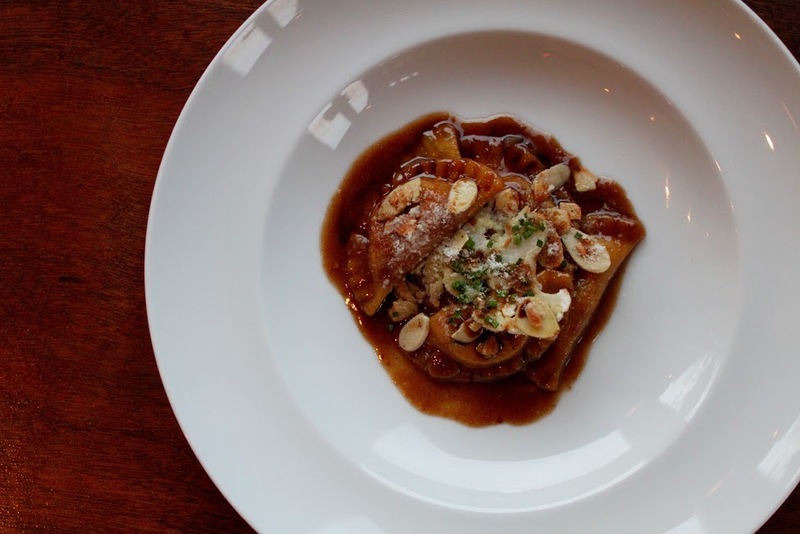 The real stand-out though is, in some ways the simplest: mezzaluna, half-moon shaped pasta look like ravioli, but inside a blast of slow-cooked cauliflower, toasted almond, and a sauce of brown butter and balsamic vinegar. Business has been steady since they opened a week ago, but that shouldn’t deter you from stopping by for a first look of your own. I’m confident that as long as you like Italian food and BYOBs you’ll be convinced that we’ve got room for one more.